It was sunday and it was fathers day and it was so so sad because I was sick well don’t be sad about that. Then at the next day I slept 6 times and its not so so so so so so so so so so very very very very very not yahoo boo becaus I was vomiting in eleven 11 times. This last page above is sweet of him! 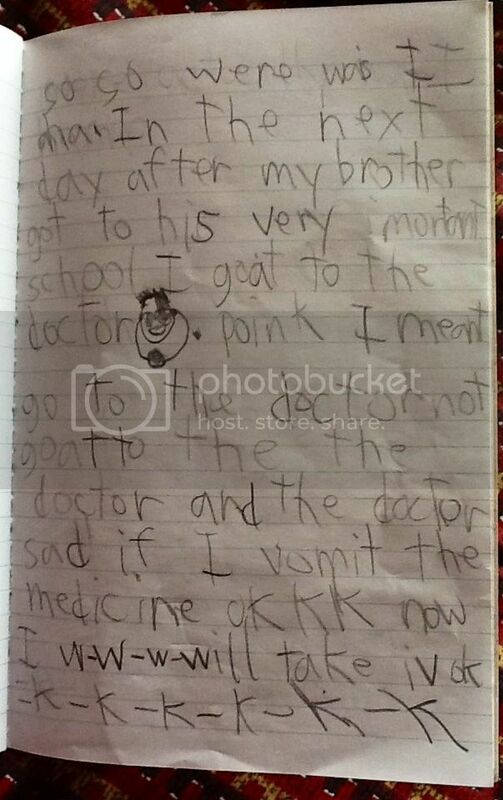 He wrote this entry after his ordeal against vomiting and urticaria (skin allergy). It started on the morning of Father’s Day and lasted for more than 24 hours. In that span of time, he vomited 11 times. So, yeah, Father’s Day passed us by. He is such a baby when he gets sick… but he has so much will power, too! After he took his medicines, he got his sense of humor back, thus his entry above. He is back to his routine… and added more sports in his schedule:-). Yap, 6 years old:-)… Buti nga nakahiligan nya. 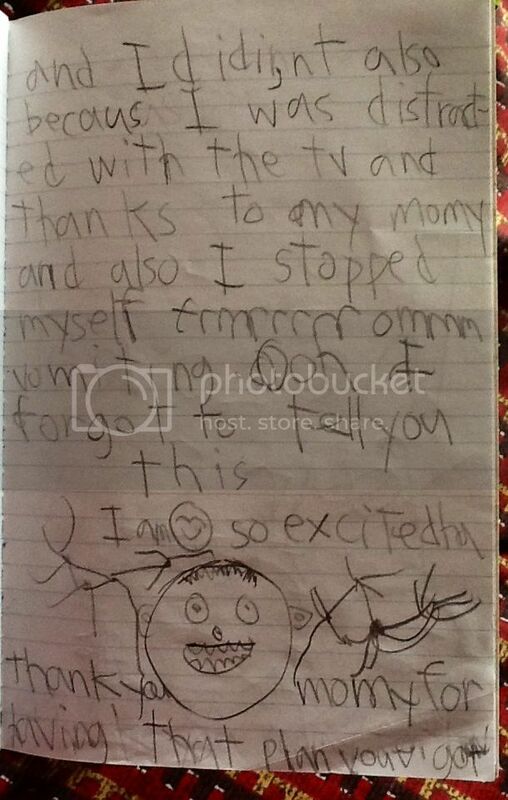 The 3-year old would also sometimes pretend that he is writing stories, too hahahaha. Really? 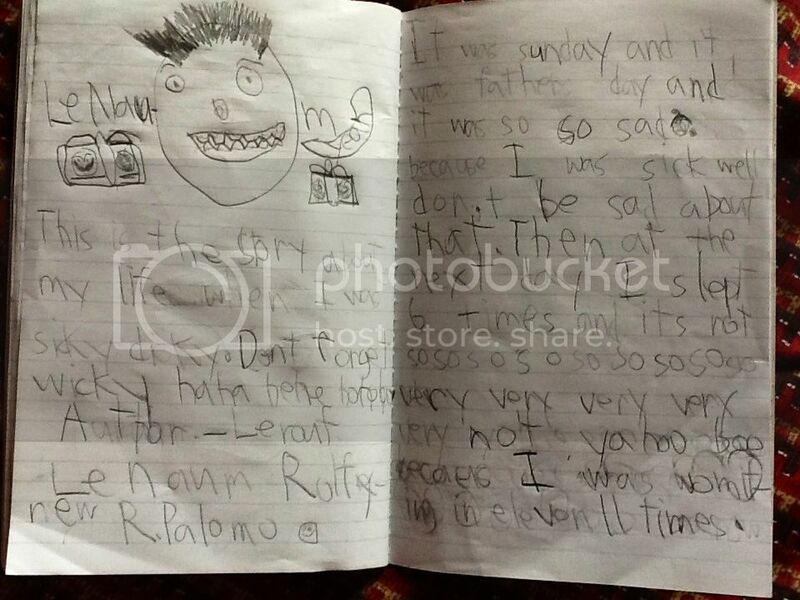 At 6 he could write like that? What’s funny is, I am a fan of Geronimo Stilton too, haha, sa edad kung ito mga binabasa ko pang kids eh.. This reminds me of one of my favorite books, “The Diary of the Wimpy Kids”. It’s a cartoonized novel and for kids, but since I am a kid at heart, I read that series. 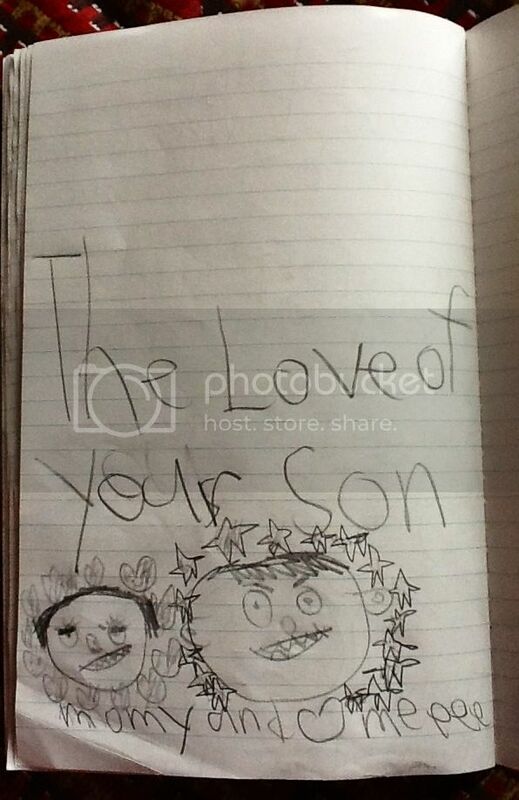 I guess your son would love it, you have a future writer there. oh my.. super impressive, ate Wendy..